← Stay & Play: Stay in Oct/Nov & Get up to $1,100 of FREE extras! Ideal for a family getaway or two couples, Villa Mira Flores offers a host of amenities to make your stay relaxing and fun. 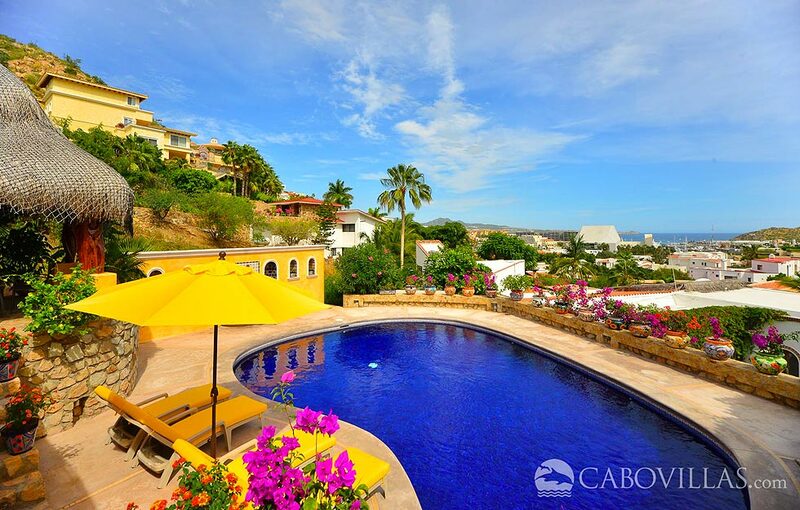 Soak up the sunshine on your private pool terrace with enchanting views of city lights, Cabo San Lucas Bay and the stunning hillsides of Pedregal, Cabo’s premier private gated neighborhood. 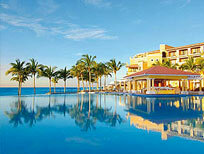 Outside, you can kick back with a cool drink by the pool on one of the lounge chairs as you take in the magical scenery. 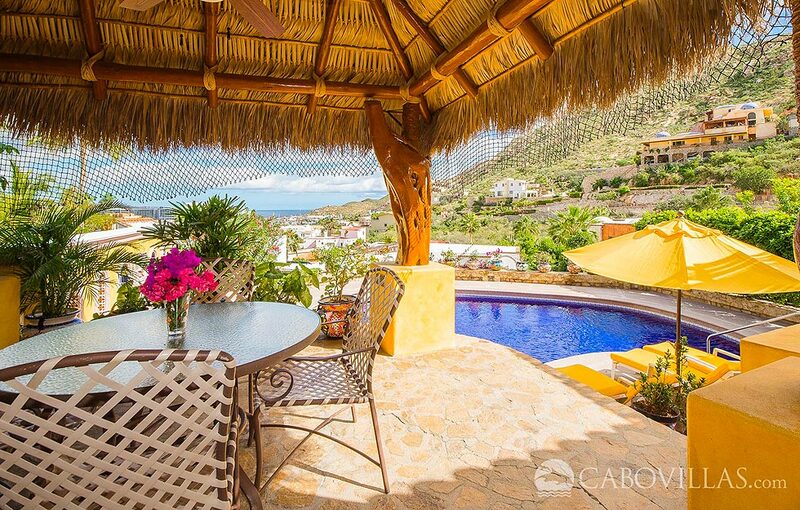 Outdoor amenities at Villa Mira Flores include two patio dining tables, a shade structure and a gas grill to prepare the local catch of the day. Better yet, why not plan an al fresco feast prepared for you and your guests on the terrace by a private chef? 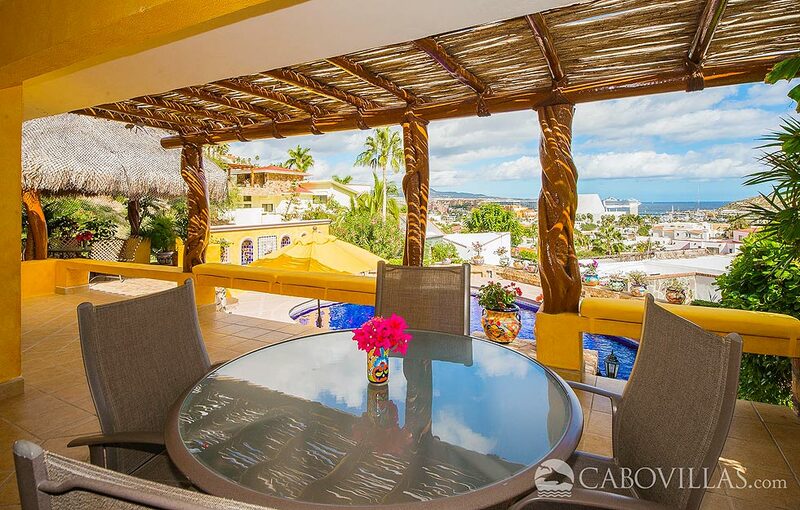 You can enjoy a gourmet brunch, dinner or a full day of dining in your villa. 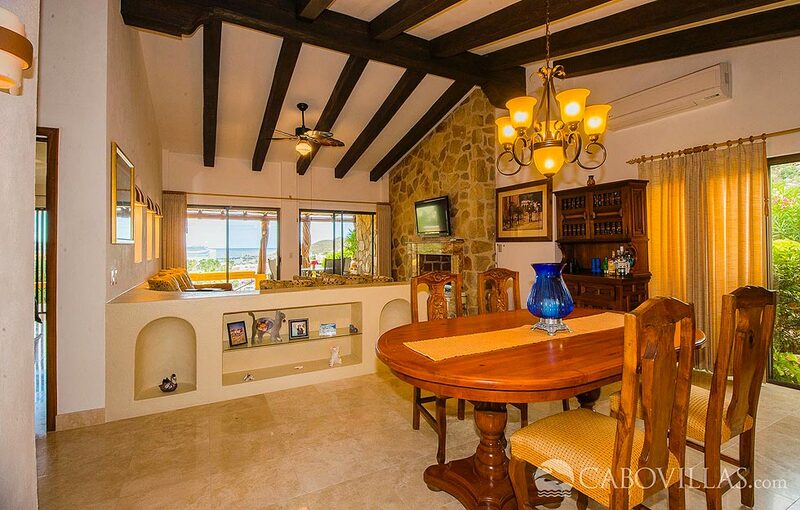 Inside, there’s a lot to admire at Villa Mira Flores. Lovingly decorated, this traditional home boasts marble floors, comfortable bedrooms, a full kitchen, dining area and a welcoming living area. Attractive decorative touches add to the villa’s appeal. 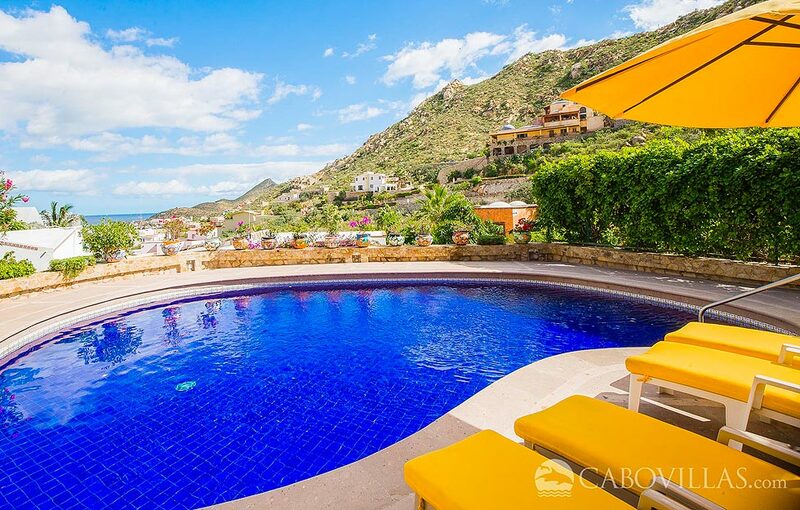 While you may find it hard to tear yourself away from the swimming pool at lovely Villa Mira Flores, you’re just steps away from all of the fun Los Cabos has to offer. 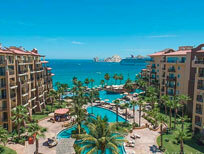 Make your vacation even more unforgettable by arranging in-villa spa massages or convenient grocery pre-stocking. 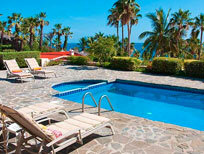 For a limited time, get your 4th Night Free at Villa Mira Flores! 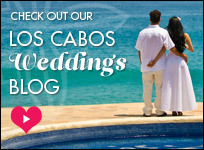 This entry was posted in Cabo Villas and tagged activities, Cabo, Cabo San Lucas, Insider Tips, Los Cabos, Mira flores, Villas. Bookmark the permalink.